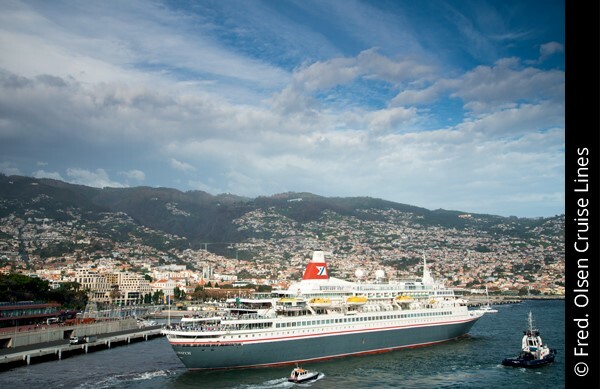 From immersing yourself in the rich maritime history of Lisbon and exploring Oporto’s historic heart to savouring the seaside charm of picturesque Portimão, you’ll have chances to tick-off authentic experiences every step of the way on this all-encompassing exploration of Portugal on board Black Watch. After a relaxing glide south from Dover, where better to begin four unforgettable days in Portugal than Lisbon, the pretty capital. The impressive Ponte 25 de Abril Bridge will be a sight to behold from your ships decks as you glide into port here; while ashore, a wealth of attractions await you, including a collection of enthralling museums and architectural wonders  such as the Jerónimos Monastery, Tower de Belem, Padrão dos Descobrimentos  which showcase Lisbons extensive maritime heritage. Explore on foot, via the tram or even in a Tuk Tuk during your overnight stay; whatever you choose to do, be sure to sample famous Pasteis de Belém pastries and catch a performance of traditional Fado music too. Further afield, you also have time to take a tour to the medieval town of Obidos, or visit UNESCO-listed Sintra. Youll have chances to tick-off authentic experiences every step of the way on this all-encompassing exploration of Portugal on board Black Watch. Another day to explore the Portugues capital. Lisbon is also a shopper’s paradise, with the Centro Commercial Colombo the biggest shopping mall on the Iberian peninsula and the elegant Avenidas Novas, full of upmarket shops. Alternatively, there bargains to be had in the local flea market, Campo de Santa Clara. Don't miss the chance to sample iconic egg tarts at Pasteis de Belém too. Portimão's long fishing tradition was developed between the 19th and 20th centuries and established a strong canning industry and a busy marina. Indeed, in its old quarter, Museu de Portimão is housed in a restored 19th century cannery, and has exhibits on local history. Oporto sits deep in the gorge of the River Douro and on the riverside dominated by the two-level Luis I bridge it’s possible to look up at the narrow old town streets climbing out of the valley. Pastel-fronted houses with red-tiled roofs line the streets, mixed with neo-classical buildings and wonderful baroque churches. Dominating the centre of the city is the fortress-like Cathedral, which is worth visiting for the views alone. Relax on board whilst you sail back to the UK. Enjoy your last day on board the ship.